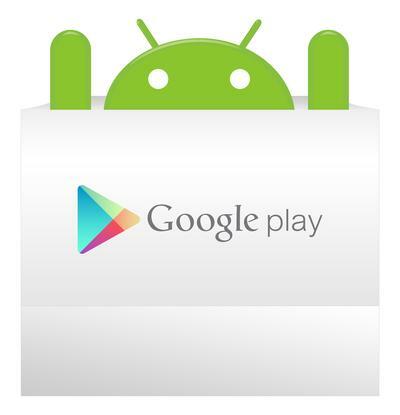 Only yesterday Google revealed it had set a team of human reviewers to the task of weeding out apps that violate its developer terms before they’re published on Google Play and cause a nuisance for Android users. While human reviewers haven’t slowed down Google’s rapid review process it would seem they’re also missing apps that clearly do violate Google Play policies. In-app advertising is an accepted and supported practice, but app makers aren’t meant to display unwanted ads in apps, for example by presenting interstitial ads — full screen ads or notifications — that force users to click through to an unwanted page. Google has removed dozens of adware apps over the past few months, but only after third-party security vendors have notified it. The latest batch Google has removed were found by security firm Lookout. These include one instance of “HideIcon”, and 12 other apps that contain adware known as “NotFunny”. HideIcon does what it’s name suggests — it hides icons — which also makes itself difficult to remove while pushing unwanted ads. “After it hides the icon, variants of HideIcon will push aggressive ads to the user, disrupting their experience of the device. There seem to be no terms of service and the app does not provide value to the user,” Lookout said on Wednesday. It’s the second time Google has had to remove HideIcon apps. In January it took down five apps with HideIcon embedded after they were reported to it by security firm Cheetah Mobile. The company discovered HideIcon inside flashlight and compass apps. According to Lookout, the most recent app had been downloaded between 1,000 ad 5,000 times before Google removed it from the store. The NotFunny adware displayed yet more behaviours that flout Google’s app store rules but at first seem benign. NotFunny is hidden within apps such as ringtone, wallpaper and laser pointer apps (the last being an obvious fake, given the lack of lasers in smartphones). NotFunny then prompts the user to download a second component, which is presented as a Facebook app and asks the user to grant permission to access personal information, services that cost the user money, messages, and location. Like HideIcon, once installation is complete the payload hides its icon. It’s the fourth batch of adware apps that non-Google malware researchers have discovered in the past three months. Collectively, the apps have been installed on at least five million Android devices. Avast in February reported three instances of adware that appeared to have slipped past Google’s checks by initially complying with its terms only to violate them 30 days later. Google removed the three apps. In late February, researchers at security firm BitDefender discovered 10 adware apps, also on Google Play. The primary purpose was to send a variety of Android browsers to sites that display ads. The browser could just as likely be Chrome as the in-built browser in Facebook’s app. Liviu Arsene, a senior e-threat analyst with BitDefender said that Google’s anti-malware system, Bouncer, does check for are URLs that point to malicious .apk files or malicious actions performed by the installed application. However, scammers may have found a way around it. “We could speculate that when the developer submitted the application for vetting, the URL that does all the redirecting was clean. Maybe only after the app was approved the content of the webpage could have been crafted to behave the way it did. Because URLs are external resources, you cannot control what they display. They might display a legitimate webpage one minute and malware-serving ads the next,” Arsene explained.